As a generation surrounded by technology we do not always think about the consequences it may have. Many will probably agree that technology can be a blessing and a curse for us. One example of this can be seen through the developing of new forms of transportation and delivery, drones. 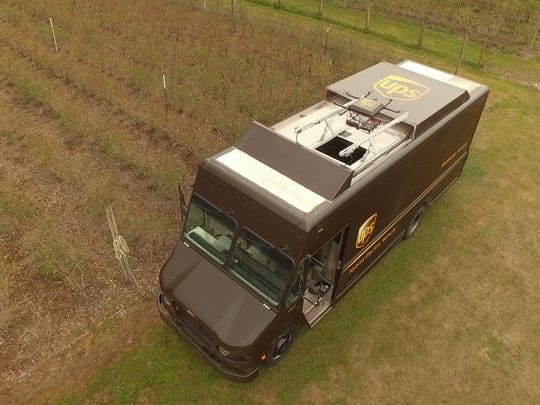 In Lithia, Florida on Monday, February 20th, UPS tested drone delivery with their new trucks. Although there are many things that are preventing drone technology from being used today, it is something to think about. Drone technology can save companies millions of dollars. By just reducing the amount that one driver drives each day by one mile, per driver per year, UPS estimates they could save about $50 million. The drones could easily help to cut back on this distance. UPS would use these drones in rural areas. They plan to have the drones launched from the trucks while they are making deliveries. This would save time and gas in the rural areas. UPS claims that their goal is not to replace drivers. They want to create more efficiency. They state, that their drivers are the face of their company and that they would never look to replace them. This is admirable of UPS to say but is it realistic? In the future, wouldn’t it be more efficient and save more money to do away with drivers? Do you think that UPS and other companies given this option will stick to their old ways or give in to technology and get rid of drivers, etc? Original Story: “UPS tested launching a drone from a truck for deliveries,” USAToday, Feb 21, 2017. Previous Are Robots the Future of Employees?